Mesilla Valley Hospital offers inpatient, detox, and psychiatric treatment services to adults and adolescents struggling with alcohol, substance abuse, and mental health disorders. The mission at Mesilla Valley Hospital is to provide quality care and treatment facilities to adults and adolescents for addiction and mental health issues. The staff at Mesilla Valley Hospital incorporates the values of Professionalism, Respect, Integrity, Diversity, and Excellence into their work and services that they provide. The hospital offers detoxification, residential programs, and inpatient treatment services to adolescents aged 12-17 years and adults aged 18 and above. Clients are provided with a safe, private, and respectful environment where they don’t feel any shame or guilt and can focus on their healing journey. Through therapeutic modalities and comprehensive continuum of care, clients are able to develop resilience and life skills needed to live an addiction-free life. The hospital also offers a Military services program that is specifically designed for active-duty military personnel, veterans, and military dependents. The program provides services for addiction and mental health issues keeping in view the unique needs of individuals associated with the military. The staff at the hospital is specialized in dealing with adults and adolescents struggling with addiction and dual-diagnosis disorders. They provide guidance and hope to clients to help them achieve lasting recovery. 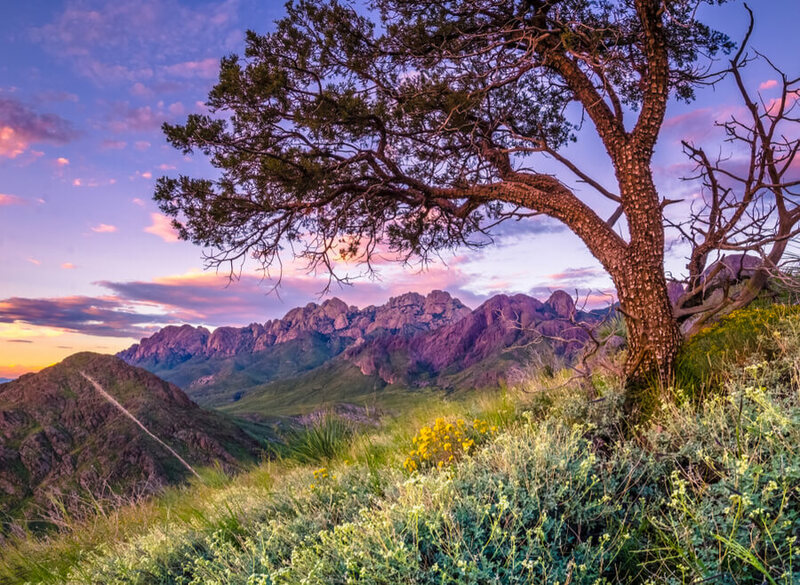 Mesilla Valley Hospital is located in a beautiful setting overlooking the Organ Mountains in Las Cruces, New Mexico. The campus provides a peaceful and tranquil environment through the beautiful landscapes and sceneries that surrounds it. It comprises of two buildings where one building serves as the area for substance abuse clients and the other building for clients with psychiatric issues. The hospital has a capacity of housing 27 patients in total. Rooms are shared between three patients of the same gender. Each room is furnished with twin beds, nightstands, and closets for each client. Bathrooms are attached to each bedroom. There are separate common rooms in the building for adults and adolescents. They are furnished in a comfortable way to make the clients feel relaxed and at home. Clients can engage in various outdoor activities such as sports, yoga, meditation, walks, or just enjoy the beautiful views of the landscapes. Meals are offered to clients three times a day in the cafeteria. There is an in-house chef who prepares nutritious, healthy, and delicious foods for the residents with the help of a kitchen staff. Residents have a wide variety of food options to choose from at each mealtime including an assorted salad bar. Mesilla Valley Hospital offers comprehensive, individualized treatment services to adults and adolescents for substance abuse and co-occurring behavioral health disorders. The cost of treatment depends on the individualized treatment plan of a client. The approximate cost is around $15,000 for 30 days of residential treatment. The hospital accepts insurance from certain companies, the details of which could be acquired from the admissions office. The hospital also offers clients an opportunity to finance their treatment if they could not afford it through Prosper HealthCare Lending. It is the premier financing company in the healthcare industry which offers easy loans to clients with many different benefits. Mesilla Valley Hospital has been offering its premium treatment services to adolescents and adults since 1987. The hospital offers a number of treatment modalities including residential, outpatient, and partial hospitalization programs. The programs provide psychiatric and chemical dependency care to adolescents aged 12-17 and adults aged 18 and above in a therapeutic and tranquil environment. Evidence-based therapies such as cognitive behavioral therapy, exposure therapy, and EMDR ensure the better success of treatment for clients. The multidisciplinary staff offers its expert services and guidance to clients in an effort to empower them. They are taught life skills and coping skills to develop resilience against addiction and behavioral health disorders. This enables them to maintain lasting recovery by preventing relapse. Specialized treatment programs are designed for military-related personnel and adolescents suffering from psychiatric issues such as aggressive behavior and suicidal thoughts or attempts to provide them with the right treatment.